Not sure what he is singing about but Paul Simon’s lyrics in Call Me Al declare: “I want a photo-opportunity. I want a shot at redemption. Don’t want to wind up a cartoon in a cartoon graveyard.” Can’t tell you when someone will take your picture or how to avoid the fate of a dead ‘toon, but a “shot at redemption?” That is more than possible. In Joseph’s story so far, we see a man that has had his ups and downs… who is now on a roll. He has always been a source of blessing to those around him, and now he is a blessing to the whole world. He is in charge of a massive food bank with the desperate from all the surrounding nations at his door. A few years ago I was leading a Bible study on Joseph and we came to this morning’s passage. One of the Bible study participants asked an interesting question: After Joseph became Second in Command of Egypt… why didn’t he go seek out his family in the land of Canaan. Why indeed? I didn’t have an adequate answer… I had never thought about it I guess. One would expect that Joseph would have at least paid a call on them… to promote reconciliation or to enact revenge. And yet at least 7 or 8 years pass without even a postcard sent back to the family… why? After looking into it, I think we are provided a clue to the answer during the years of Joseph’s prosperity. Two sons were born to Joseph and as he called them to supper it reminded him of two things: Forget the Past…. Focus on the Prosperous Present. Excellent Strategy… only one problem… it was doomed to failure. Avoiding the Past Doesn’t Keep It From Knocking On Your Door. Now Joseph recognized them instantly, but pretends to be a stranger. This day was the day that God had appointed to Joseph to begin to deal with his past. I’m not sure when that day will come for some of you. It has to be God’s timing. But usually the past eventually comes knocking. How you deal with it could change your life. Avoiding the Past Can Keep You From the Blessings of Confession and Guilt. Two groups both need the blessings that dealing with the past can bring. For the brothers the occasion spawns a confession of their sins of almost a decade ago. Notice how fresh the event was in their minds: Their ears still ring with the sounds of Joseph’s bleeding. Reuben says: I told you not to SIN against the boy. Rueben calls it what it is… not a misunderstanding… or a business opportunity they couldn’t pass up… or a punishment that Joseph had coming… it was a sin against him. Joseph tells his brothers that he thinks they are spies. He tells them to bring back their younger brother to prove they were who they said they were. He keeps Simeon in prison for insurance that they will do just that. Joseph is testing his brothers repentance here in a very hard way. But while Joseph’s brothers needed to confess, Joseph, himself, needed to grieve. Did you catch that? As the brothers bring up that dark day… that day that had filled Joseph’s nights with terror… Joseph’s eyes began to fill up with tears. He’s reliving the moment… And he’s coming to grips with his loss. 3. Another reason to resist avoiding the past is that it can keep you at odds with God. This is an unusual thing. That should have been the reaction of the brothers, but it wasn’t. Why? Quick: Draw a mental picture of God. What do you see in your mind’s eye? A Mean Overbearing Ogre or a Happy Loving Father? Now I’m not asking you what your theology teaches you He is… or even what you believe Him to be… what does your heart feel about Him? Guilt has twisted the brother’s view of their God. What is your heart’s cry today? Guess what? 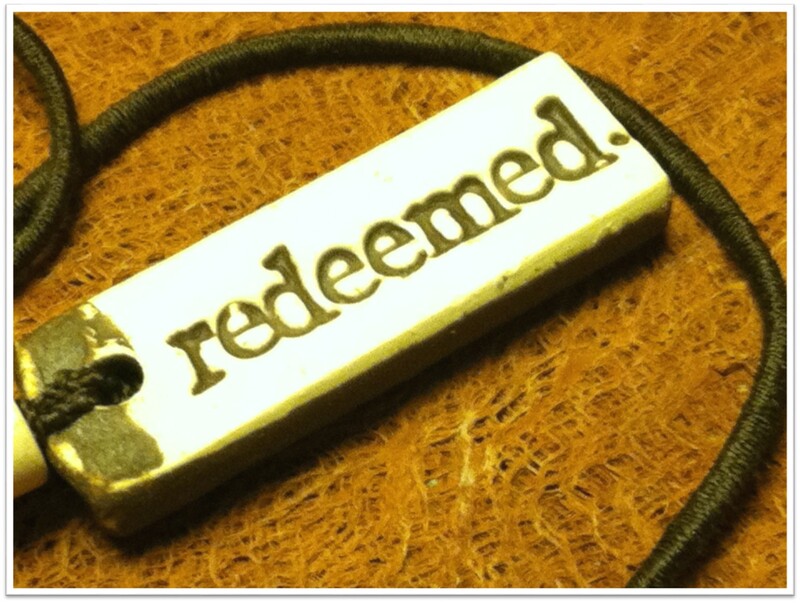 With God you have a shot at redemption. “If God is for us, who could be against us!” (Romans 8:31) God could be bringing up your past today so that he can take those ugly things… that happened to you or that you have done to another… and turn them into a glorious future! What do you do when the past comes calling? Know that you have a shot at redeeming that past. If you are in the place of Joseph’s brothers… you own up to it and repent of it. If you are in the position of Joseph… you face the pain and forgive. God longs to heal your deepest wounds. Would that today be when your healing process begins. Do you have a hurt from the past that God seems to be bring up again and again in your life? Isn’t it time to face it with Him? As tempting as running away might seem… there is a better way: Going back to go forward. Jacob is a prime example of this from chapter 31 of Genesis. 6 You know that I have served your father with all my strength. 7 Yet your father has cheated me and changed my wages ten times; however, God did not allow him to hurt me. 11 Then the angel of God said to me in the dream, ‘Jacob,’ and I said, ‘Here I am.’ 12 He said, ‘Lift up now your eyes and see that all the male goats which are mating are striped, speckled, and mottled; for I have seen all that Laban has been doing to you. Bethel was that place where Jacob saw the ladder stretching to heaven with angels walking on it. It was there that God revealed the calling he had for Jacob as the bearer of the blessing. Who is the God of Bethel to you? For me He is the “The God of the Auditorium of Two Rivers Church in Nashville TN during a Baptist State Youth Conference.” I got down on my knees at the altar there and offered myself to full time Christian service. Where and when you surrendered to God’s call on your life is your Bethel. In life we reach a point where we get weary. We threaten to not finish the race assigned us. Even Godly men and women become tempted to fall into an affair or to abandon promising career for something that doesn’t pan out. They have lost the fire. Where can one find it again? Go back to the God of Bethel! It is at Bethel that you begin to understand why you are raising a family and why you have a job in the first place. So Conway went to bed thinking that the next morning he would plan his escape. Morgan writes: “But the next morning, as he starting reading His Bible where he had left off the day before, in Psalms 18, he found these words (or they found him); “In my distress I called upon the Lord, and cried out to my God; He heard my voice from His temple…..He drew me out of many waters….You will light my lamp; the Lord my God will enlighten my darkness.” He closed his Bible. The healing had begun. Have you ever had to step back to catch a glimpse of your calling before moving forward with the Lord? Who is “God of Bethel” to you? She then tells a story of an event that gave her some hope in the midst of the lost state she found herself: “One recent night I asked Noah how it went the night before. He said it was okay. Except for the part where everybody else got high before the movie and then again after the movie while he waited outside the car. I told him I was sorry. And I was proud of him. “But God spoke to me,” he announced. How ironic that God spoke to a twentieth century Noah through a rainbow. And that it indirectly spoke to his mom as well… granting her a message of hope. In chapter 9 of Genesis, God makes a promise to the Biblical Noah in regard to His judgment of mankind. “I will establish My covenant with you; and all flesh shall never again be cut off by the water of the flood, neither shall there again be a flood to destroy the earth.” (9:11) Often when God makes a promise to us (one He wants us to be sure to remember) He creates a physical sign to memorialize it. The sign of this Noahic covenant is the rainbow… a multicolored reminder of many attributes of God. The next time you see it raining… and can see that the sun is shining as well… run outside to see the spectacle of God’s bow hung in the sky… and then remember a few things. The Hebrew term in verse 13 is the same term used when referring to a bow in archery. God is telling Noah, that in regards to judgment with flood, I’m hanging up my bow. “I set my bow in the cloud, and it shall be for a sign of a covenant between Me and the earth.” (9:16) When we see evil continue to run rampant on this earth, it is tempting to think that God might be powerless to stop it. What it should tell us is: God is extremely powerful in His restraint! Praise God for the cease-fire! Our twentieth century Noah (in the above story) didn’t quite know what God was saying through the rainbow, but he knew God was saying something. Perhaps the rainbow was a symbol to Him of His patience toward him. For although the sign of the rainbow states that God has withheld further judgment on the earth by flood, there is coming a judgment by fire. “…the world at that time was destroyed, being flooded with water. But by His word the present heavens and earth are being reserved for fire, kept for the day of judgment and destruction of ungodly men. … But the day of the Lord will come like a thief, in which the heavens will pass away with a roar and the elements will be destroyed with intense heat, and the earth and its works will be burned up. (1 Peter 3:6,7 & 10.) The rainbow reminds us that God isn’t winking at sin, but being patient with sinners. There will be a day when the justice of God will have to be satisfied. Remember when you saw your first rainbow? Remember that feeling of awe? Then you have a sense of the wonder that Noah must have felt. It came at the end of a rough 40 days and 40 nights. The rainbow was have been overwhelming to his senses! And although it was a sign of the covenant to him, it also represented God’s majesty to him. That element of the rainbow’s symbolism is found not only here in Genesis, but also in the book of Revelation (4:3) and Ezekiel. Ezekiel describes his vision of Divine Glory in this manner: “As the appearance of the rainbow in the clouds on a rainy day, so was the appearance of the surrounding radiance. Such was the likeness of the glory of the Lord.” (Ezekiel 1:28) Stand in awe of His majesty! Where do the storms of life find you today? Are you kind of like the mom of our 21st Century Noah? Trying to maintain your faith as the flood waters continue to rise in your life? There is hope beyond the disaster that has flooded your world. Remember God is a God of restraint, faithfulness, patience and majesty. And every rainy day or so… He likes to remind us. Animals prey on one another. Tornadoes and Earthquakes can quadruple the death rate on any given day, in just a matter of minutes. There are wars and protests, and hatred and strife. What happened? Where is Eden? If we left it, can we go home again? Then there is the legacy of unrighteousness we have passed on (Romans 5:12). We have all, like Adam and Eve, painted a bleak picture of God, looked longingly at the Forbidden, partook of it and then shared the fruit of our disobedience with one another. A number of years ago, a sad story caught the headlines. A High School Girl was found dead in Hawaii. Her body was found intoxicated and naked in the room of two tourist that she didn’t even know. What was telling was the reaction of one girl that attended school with her: “She didn’t do anything different from the rest of us. I mean, she didn’t do anything wrong. She didn’t do anything that she isn’t suppose to do as a teenager.” It was as though her friend’s sin was okay because it had become socially acceptable among other teenagers. As a society have bought the lies of Satan. And that is what happened to Eden! Sin drove us from our true home. Trying to create our own set of rules we found ourselves morally bankrupt. Now how did God react to the fallen state of this pair? How did He deal with our unrighteousness? Right from the beginning God works to undo what they have done. He sets in motion a plan of redemption. In the judgment to the serpent, God says: “And I will put enmity between you and the woman, and between your seed and her seed; He shall bruise you on the head, and you shall bruise him on the heel.” (3:15) Man has been so bitten by the serpent that sin’s venom courses through our veins. Sin was passed down to all of Adam’s children. Mankind has been limping from a bruised heel since the day they left Eden. But the Good News is that Jesus has come. The true Seed of the Woman, Jesus (Galatians 3:16) has come to crush Satan’s head. He has come to clothe us and to give us His righteousness. I began this blog asking you to examine Genesis 1 and 2. Now take a peek at Revelation 22… the Bible’s final chapter. You will discover once again a garden and something more: the tree of life. Eden has been reborn! 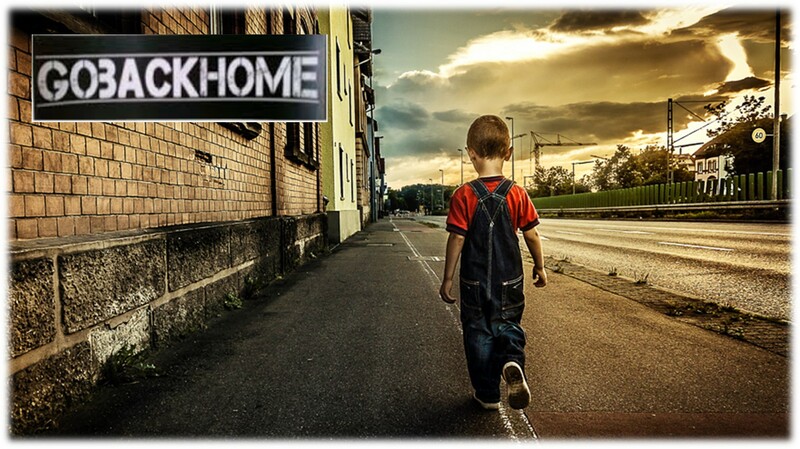 And through Jesus: You can go home again! 6 For I am confident of this very thing, that He who began a good work in you will perfect it until the day of Christ Jesus. 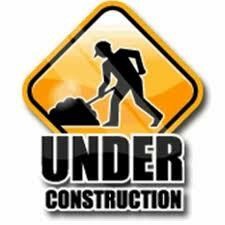 Every once in a while when you visit a favorite site or blog you are met with a “under construction” page. You are instructed to come back at a later time. Don’t go anywhere… because I have a construction project I need to announce. The project is me. I sense a need for change in my heart and life. I am praying for personal revival. Gypsy Smith (an evangelist from another era) used to tell his audiences: “Do you really want to see a revival begin? Then go back to your home and draw a circle three feet around in your bedroom. Then get down on your knees in the middle of it and ask God to convert everybody inside that circle. 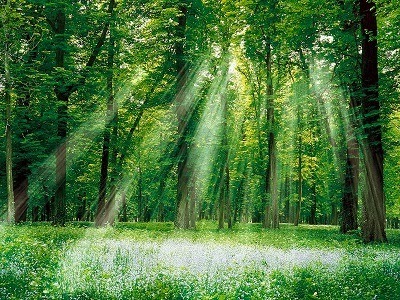 When you do that, you are experiencing the start of revival.” I have begun to draw the circle in my own life. I am frustrated in the construction project which is me. I thought I was building a pretty good house there for awhile. It seems the winds of time and circumstance have blown the the thing flat. I’m getting tired of imaging walls were there are no walls… and the winds are starting to blow cold. I know I need to shore up some faith in the Philippians 1:6 promise. What God started in me on December 6th, 1980…. he will be faithful to bring to an end, accomplish, perfect, execute, complete… the work he began in me. I don’t want to be lukewarm or tepid. What I built yesterday was great in its day. It is time to build a more glorious tabernacle. There is some spiritual reconstruction ahead for me… for my body, my mind, my calendar, my habits… etc. I am embarking on a project that will carry me forward for the next 20 years or so. Pray for me as I go over the blueprints with my Lord. And then maybe ask him to go over yours with Him.